PACCAR achieves record quarterly revenues and excellent profits - DAF Trucks N.V.
First quarter 2018 net sales and financial services revenues were $5.65 billion, 33 percent higher than the $4.24 billion earned in the first quarter of 2017. PACCAR achieved net income of $512.1 million ($1.45 per diluted share) in the first quarter of this year, 65 percent higher than the $310.3 million ($.88 per diluted share) earned in the same period last year. • Record consolidated net sales and revenues of $5.65 billion. • Net income of $512.1 million. • Record PACCAR Parts revenues of $939.9 million and pretax profits of $191.8 million. • Cash generated from operations of $528.5 million. • Research and development expenses of $76.0 million. • Manufacturing cash and marketable securities of $3.47 billion. • Excellent stockholders’ equity of $8.57 billion. DAF’s above 16-tonne truck orders increased 41 percent in the first quarter of 2018 compared to the same period last year. “DAF’s new $110 million state-of-the-art paint facility in Westerlo, Belgium has expanded DAF’s production capacity, enabling DAF to increase market share in this year’s stronger truck market,” said Preston Feight, DAF president and PACCAR vice president. “DAF achieved an excellent 16.4 percent market share in the European above 16-tonne segment in the first quarter of 2018.” European truck industry registrations in the above 16-tonne segment are estimated to be in a range of 300,000-320,000 vehicles in 2018. PACCAR has recently increased its investment in South America by expanding its DAF truck range in Brasil and the Andean region, and opening a new PDC in Panama City, Panama. The Brazil above 16-tonne truck market is projected to increase to 40,000-45,000 vehicles in 2018, compared to 32,000 last year. “The expanding truck market and DAF Brasil’s higher market share have driven increased production,” said Michael Kuester, DAF Brasil president. 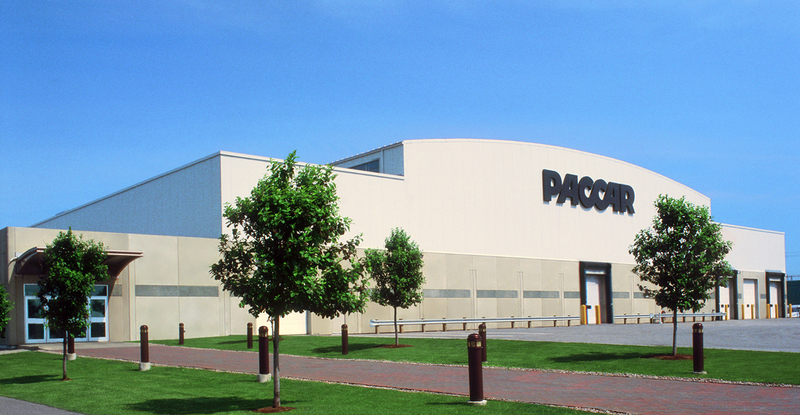 PACCAR Parts’ 18 PDCs support 2,200 DAF, Kenworth and Peterbilt dealer sales, parts and service locations. PACCAR Parts earned record quarterly pretax income of $191.8 million in the first quarter of 2018, which is 27 percent higher than the $150.8 million earned in the same period last year. PACCAR Parts generated revenues of $939.9 million in the first quarter of 2018, 19 percent higher than the $786.7 million reported in the same period last year. PACCAR Parts’ sophisticated logistics systems are driving industry-leading efficiency at DAF, Kenworth and Peterbilt dealers, and TRP Stores. PACCAR Parts shipped a record 16 million global order lines from its PDCs in 2017. “PACCAR Parts’ integrated supply chain enables customers to increase their productivity and profitability,” said Laura Bloch, PACCAR Parts assistant general manager of operations. The PACCAR truck factory in Ste-Thérèse, Canada earned a prestigious 2018 Manufacturing Leadership Award from Frost & Sullivan’s Manufacturing Leadership Council in recognition of its production technology advancements. PACCAR Ste-Thérèse was honored for its innovative use of automated guided vehicle technology to increase assembly capacity, efficiency and safety. “The employees at the PACCAR Ste-Thérèse plant are dedicated to building the industry’s highest quality medium-duty trucks. Kenworth and Peterbilt customers benefit from our factory innovations and purchased a record number of medium-duty trucks in 2017,” said Chakib Toubal-Seghir, PACCAR Ste-Thérèse plant manager. PACCAR’s excellent long-term profits, strong balance sheet, and intense focus on quality, technology and productivity have enabled the company to invest $6.1 billion in world-class facilities, innovative products and new technologies during the past decade. “In 2018, capital expenditures of $425-$475 million and research and development expenses of $300-$320 million are targeted for new truck models, integrated powertrains including electric, hybrid and hydrogen fuel cell technologies, enhanced aerodynamic truck designs, advanced driver assistance systems and truck connectivity, and expanded manufacturing and parts distribution facilities,” commented George West, PACCAR vice president. 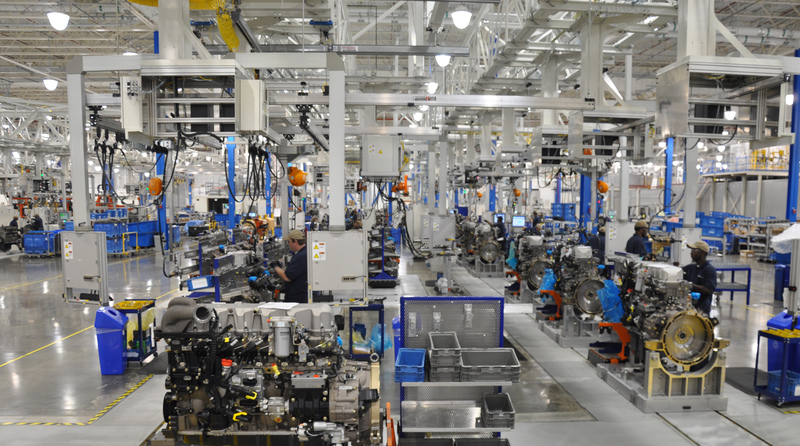 PACCAR has recently invested $70 million in state-of-the-art machining equipment in its Columbus, Mississippi and Eindhoven, Netherlands engine factories. 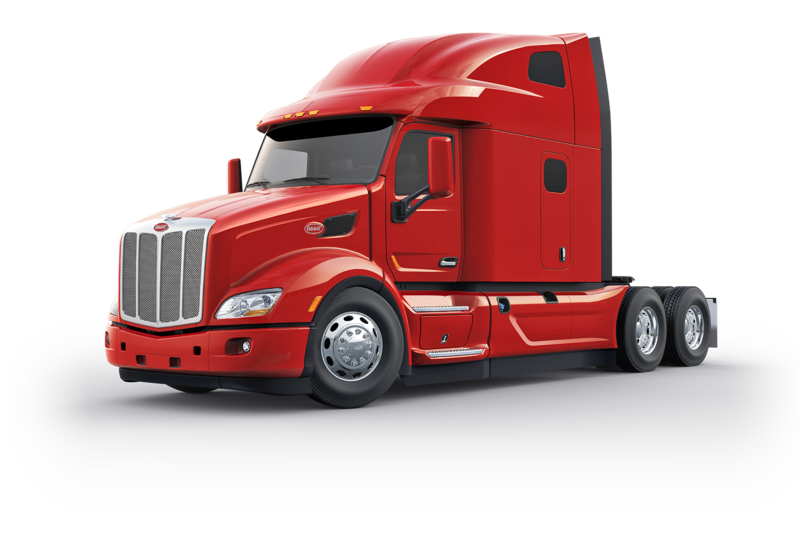 “This equipment increases engine production capacity and supports the growth of Peterbilt, Kenworth and DAF,” said Kyle Quinn, PACCAR Chief Technology Officer. PACCAR Financial Services (PFS) has a portfolio of 187,000 trucks and trailers, with total assets of $13.59 billion. PACCAR Leasing, a major full-service truck leasing company in North America and Europe with a fleet of 37,000 vehicles, is included in this segment. PFS’ first quarter 2018 pretax income was $67.5 million, 19 percent higher than the $56.8 million earned in the first quarter of 2017. PFS achieved first quarter 2018 revenues of $332.2 million compared to $302.2 million in 2017. “PFS’ portfolio performed well during the first quarter of 2018.” said Bob Bengston, PACCAR senior vice president. “First quarter industry demand for used trucks was strong, with higher prices. Kenworth and Peterbilt truck resale values continue to command a 10-20 percent premium over competitors’ trucks.” PACCAR’s strong balance sheet, complemented by its A+/A1 credit ratings, enables PFS to offer competitive retail financing to Kenworth, Peterbilt and DAF dealers and customers in 24 countries on four continents. PACCAR will hold a conference call with securities analysts to discuss first quarter earnings on April 24, 2018, at 9:00 a.m. Pacific time. Interested parties may listen to the call by selecting “Q1 Earnings Webcast” at PACCAR’s homepage. The Webcast will be available on a recorded basis through May 1, 2018. PACCAR shares are traded on the Nasdaq Global Select Market, symbol PCAR. Its homepage is www.paccar.com.